I’m a Premium Top Candidate Résumé Strategist. 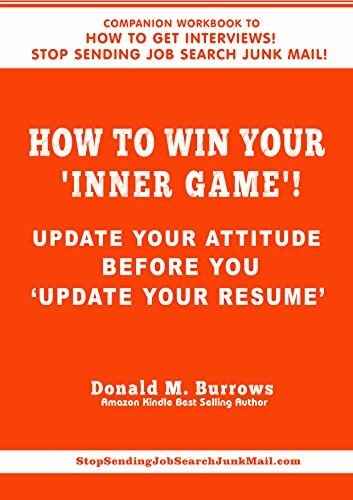 I help employed, high-five-figure, mid-career professionals passed over for promotions they know they’ve earned, regain their self-confidence, become Top Candidates for Promotions and win interviews – whenever they want them. If you want to see my credentials, please click on either of the above two links. From now until you retire, how much is the rest of your career worth to you? If I accept you as a client, we will definitely talk about that. At a time when I could least afford it, I was laid-off. Seven months before, I had been recruited and relocated to a new city. Recently divorced, with staggering alimony and CS obligations, I was just starting to get my emotional and financial life back in order when my new employer decided to reorganize. One hundred and thirty of us hit the street. 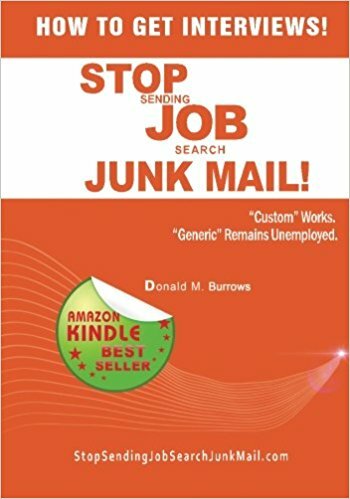 Fearful and frustrated, I followed the generic “Boilerplate Herd” advice of the outplacement firm’s “expert.” I sent out over 300 résumés and cover letters. Over six months, I went on three interviews. I was ignored more than 297 times for work I’d proven I could do. My boring, generic, two-page, reverse-chronological résumé looked like everyone else’s. 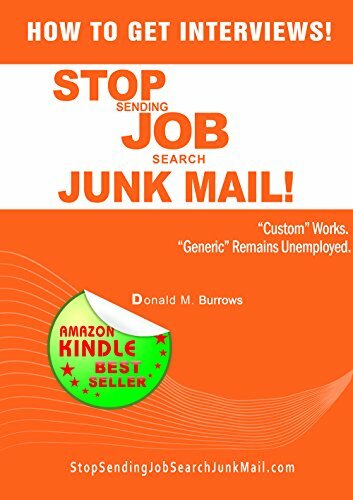 It was Job Search Junk Mail and it differentiated me from my competitors about as much as one strand of spaghetti differs from another. Lesson learned: When your credentials don’t give recruiters any special reason to call you, your phone remains terrifyingly quiet. Another Lesson Learned: Decision-makers ignore applicants who use “Spaghetti Résumés.” They always interview applicants whose custom résumés STAND OUT, like a MEATBALL on a plate of spaghetti. By the end of those six months, I was scared, about out of money, and my INNER GAME was lower than Trump’s approval rating. Ignoring what “they say,” and with no guidance from the “experts,” I created a custom accomplishments-based résumé, wrote an intriguing cover letter, and developed a strategy that made me the MEATBALL on the spaghetti. I sent my new credentials directly to the CEOs of 100 companies that interested me. Many of them responded, and 20 of them invited me to interview with them. I created a job for myself. 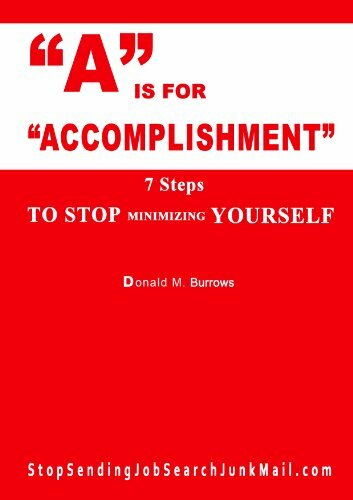 Start to finish – from creating and sending out my new credentials to driving from Delaware to Vancouver, WA to start my new job – it took about 45 days to get my life back on-track. Third Lesson Learned: Rather than deciding to BE THE MEATBALL, and instead chickening out by following the “Boilderplate Herd” and blendinginlikeonemorestrandofspaghetti, I was responsible for prolonging my unemployment. 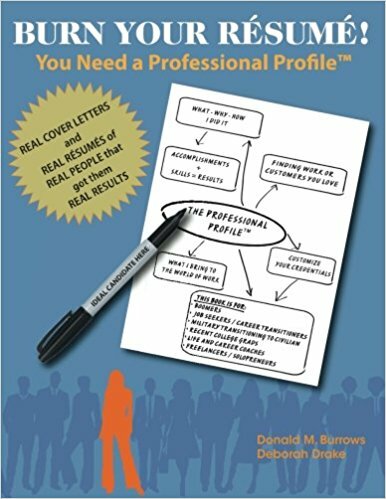 For over 30 years, whether pro bono or for money, my greatest source of professional satisfaction has been helping qualified job- and promotion-seekers, ignored by recruiters for work they could do, or passed over by decision makers for promotions they’d earned, jump-start their careers and win interviews with custom résumés and targeted cover letters. For 18 of the 30 years of my domestic and international Human Resources career, I was an in-house recruiter and hiring/promotions decision-maker for my Fortune 500 employers. I know how to get them to pay attention to you, say “WOW!” when they evaluate your credentials, and immediately reach for the phone. I’ve helped hundreds of motivated clients win interviews as TOP CANDIDATES – and now, if I accept you as a client, it can be your turn. 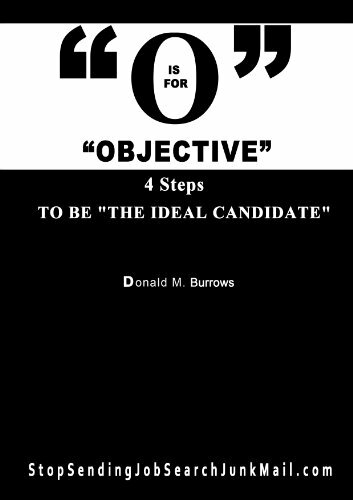 There are three Premium Packages in my Top Candidate for Promotion™ system. 1. 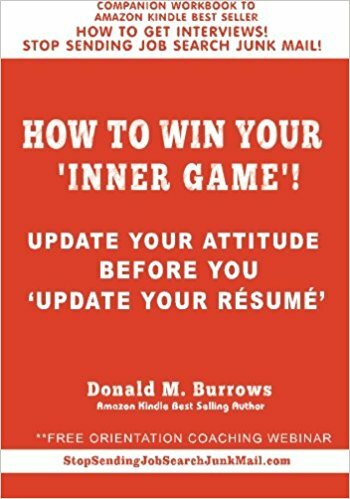 First, You Must Win Your ‘Inner Game’. 2. Be the Meatball, Not the Spaghetti. 3. Rock-Solid Confidence Interview Practice. Completed in sequence and implemented as instructed, they will enable you to create a Lifetime Career Plan™ to win interviews as a TOP CANDIDATE, each time you apply. I guarantee you will win interviews as a TOP CANDIDATE for the promotion you seek, and once you’ve learned my system, you’ll be able to do so whenever you want to – for the rest of your career. If you are interested, please click here, complete a short questionnaire, and we’ll see. If I accept you as a Credentials Client (custom résumé and targeted cover letter) or Credentials + Interview Training Client, I guarantee you will win interviews as a TOP CANDIDATE for the promotion you seek.